Last night we got to hear the race version of the upcoming mid-engine 'Fat, the Corvette C8.R, pounding around Sebring in testing. It sounds like any number of flatplanes V8 race cars, from Ferrari and on. 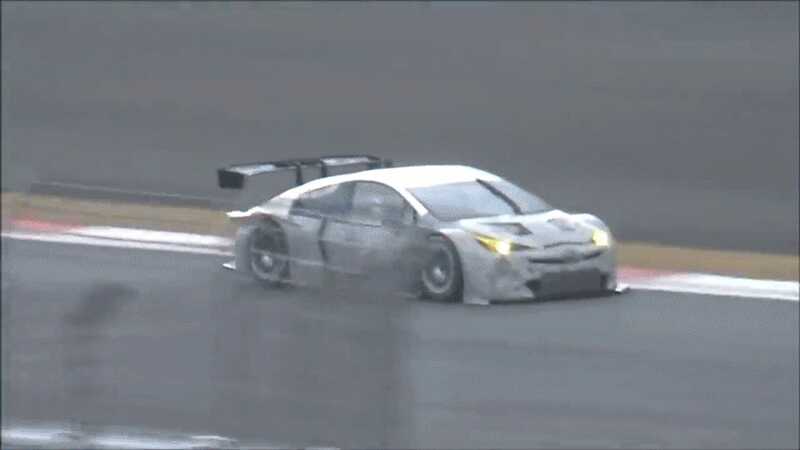 Meanwhile, Toyota went testing in its new Prius race car with its own new V8 that thunders like the Corvettes of Old. This is the new Prius Super GT entry in the lower GT300 class. Det hele er et overraskende komplisert sæt av klasser og regler for Japans store silhouette / touring car-serie, men det du trenger å vite er at det var brukt til å være en Prius racerbil med en LMP1 V8 montert bakom driveren, men det var blevet banned and there's a new one. In any case, the new V8 Prius reportedly gets the 5.4-liter naturally aspirated V8 RC-F GT3 car, presumably mounted in front of the driver under that short hood somewhere. The team racing this car has been adamant that it will stay hybrid, though I do not know exactly what system it will be using. Past Prius GT300 cars used different systems, some stock, some with super-capacitors. As it is, it's funny that the high-tech Prius is the one keeping the old school sound, while the 'Fat goes ultra-modern . I guess one has something to prove.